What if Jesus Were Cloned and Alive Today? 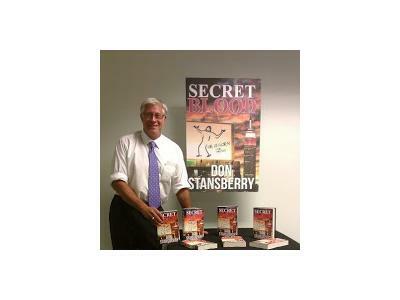 Listen as host Burke Allen talks with award winning author, Don Stansberry. His new book SECRET BLOOD is a daring novel about cloning Jesus! Written with flair and page turning twists and turns. From the Beatles, Central Park, and Cleveland to a TV evangelist and the Oval Office, this remarkable story hits home with real questions about current technology and the men who control it. These are the questions a floundering priest must ask as he is catapulted into an event that will impact the course of history. Journals left after confession are proof enough, but when the FBI breaks into the church office, he takes the evidence and goes underground. Aided by a fellow priest, his seminary instructor, and members of a reforming street gang, the journey takes him all the way to the Oval office where the President's chief of staff takes it upon himself to find the clone. Simultaneously, scientists discover an object forming in deep space. It s behavior follows no known laws of physics. Nicknamed The Ghost by CNN, it has the ability to disappear then reappear light years away. Only a select group of astronomers know that it is on a collision course with Earth. The President's Chief of Staff is the only person to have knowledge of both situations and soon realizes the presence of Christ and the detection of The Ghost are parts of the same event. Visit the author online at www.dstansberry.com.